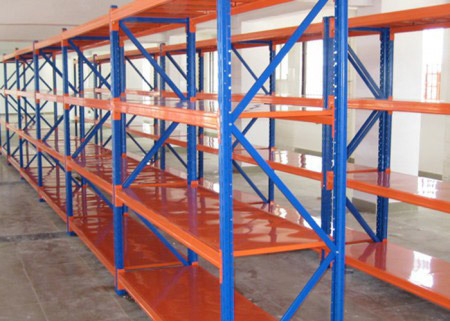 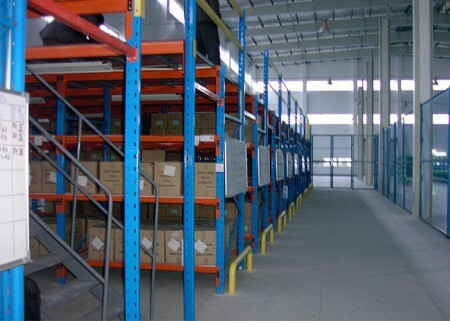 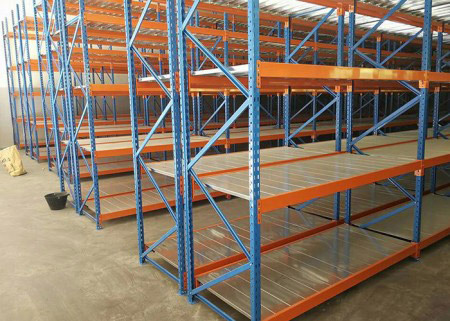 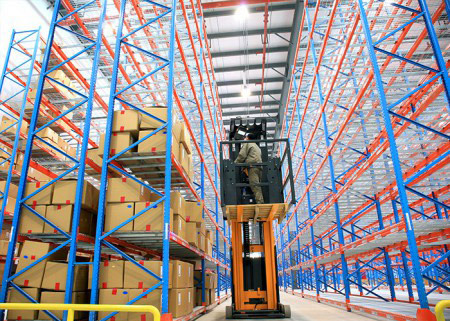 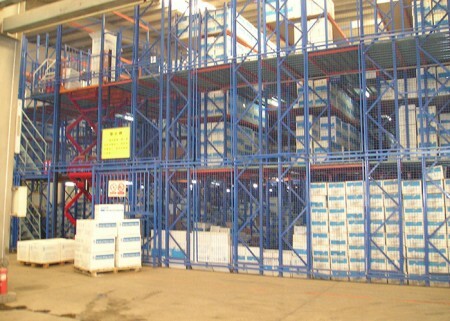 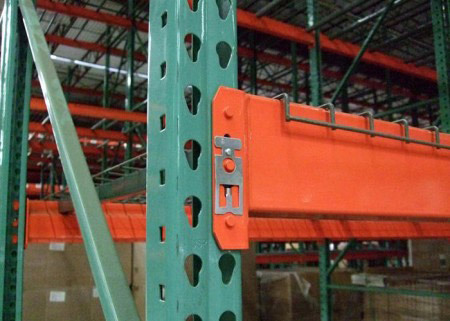 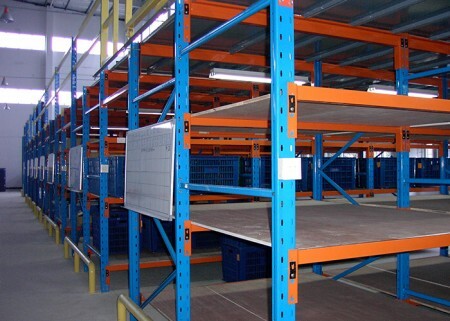 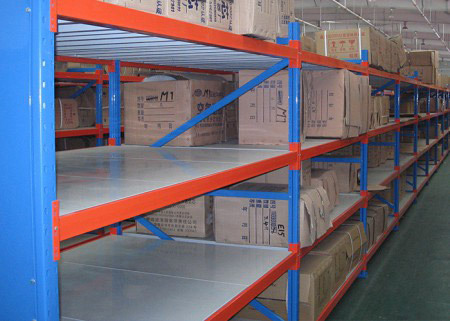 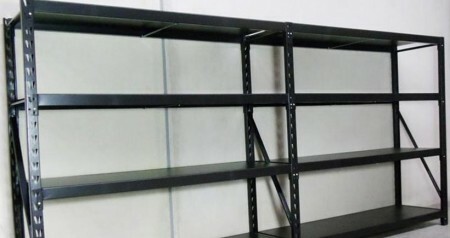 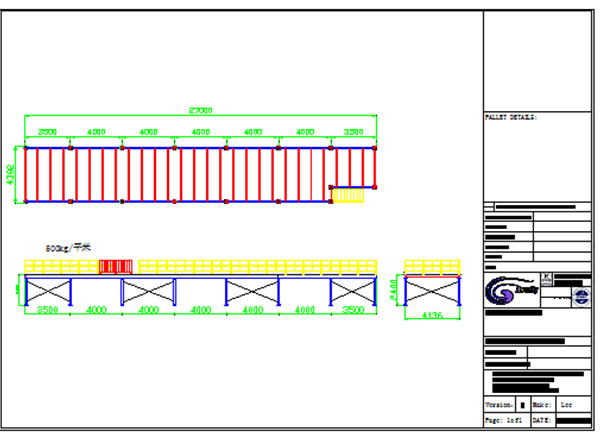 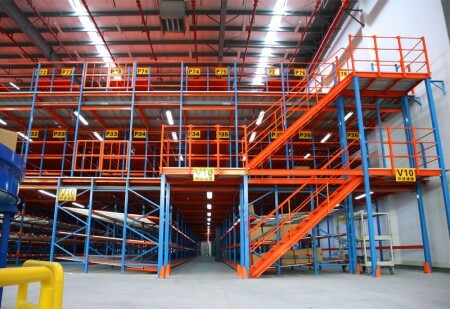 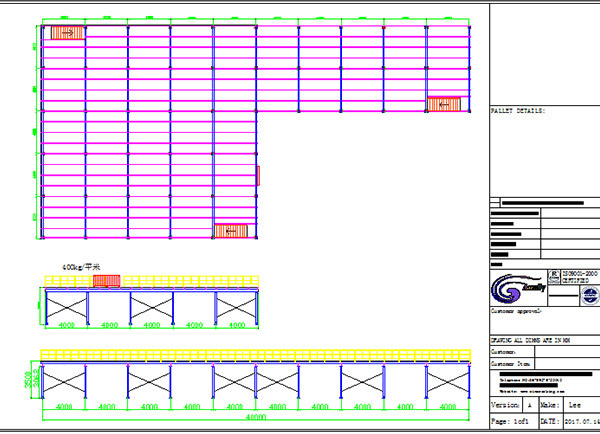 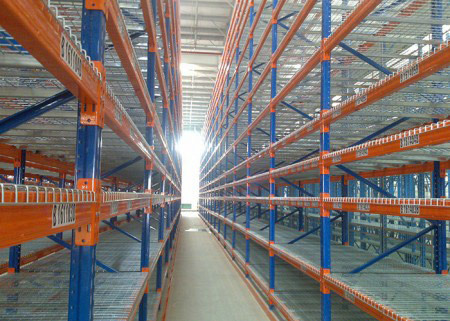 Warehouse Mezzanine Floors Systems is used for Racking Support Mezzanine or Platform to maximize the use of existing space to create more available space. 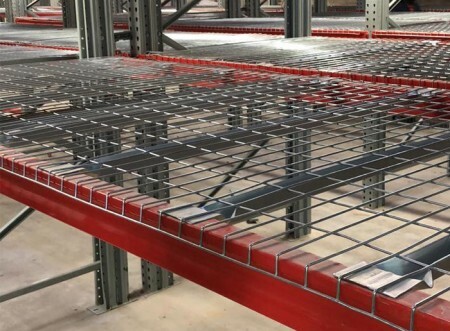 Mezzanine floors systems take maximum advantage of the height of premises, doubling or tripling the surface area and enabling it to be fitted out as a storage area, changing room, or offices, etc. 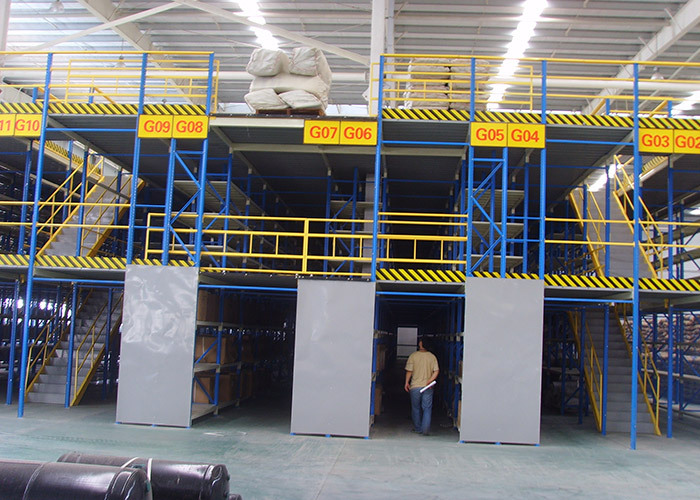 The installation of a mezzanine is an ideal solution to maximise the available space by making use of the height of the building. 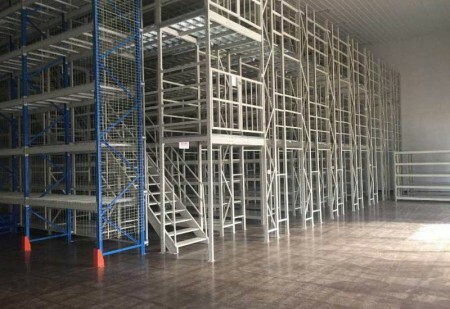 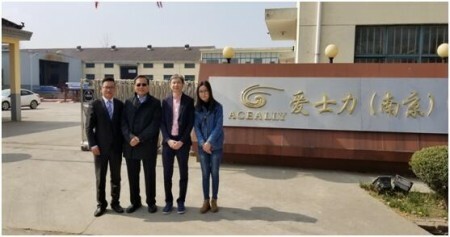 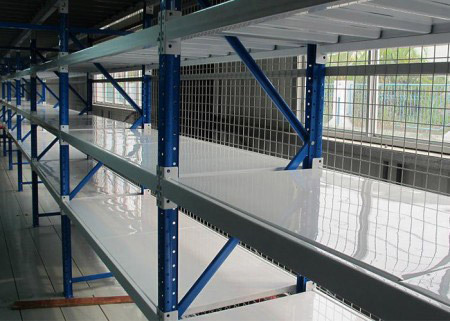 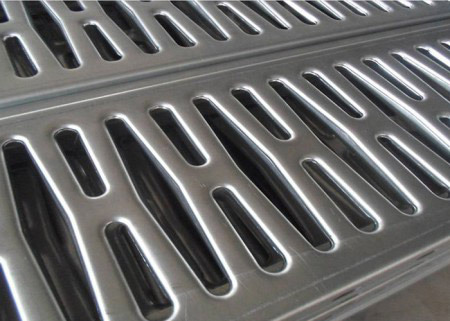 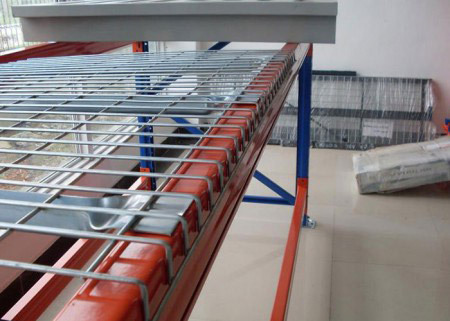 Mezzanine floors are totally dismountable and re-usable, and their structure, dimensions and location are easily modified, which Loads within 500kg per square meter. 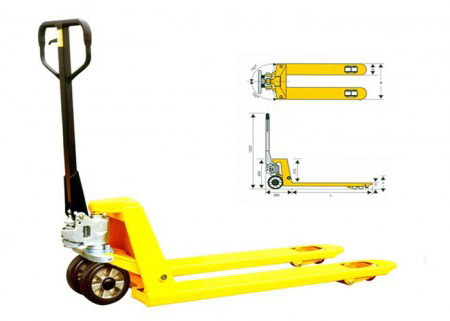 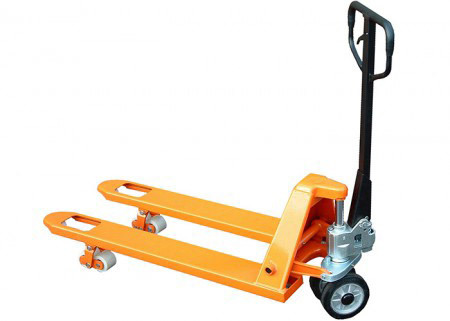 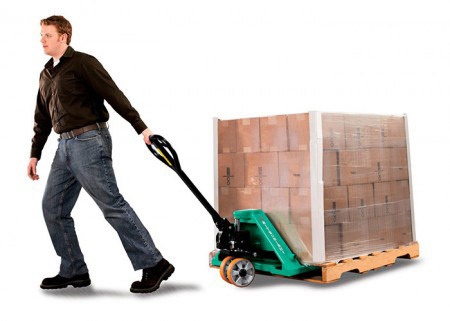 The lifting of loads can be done using manual handling machines,cranes or even by hand when the load allows this option.